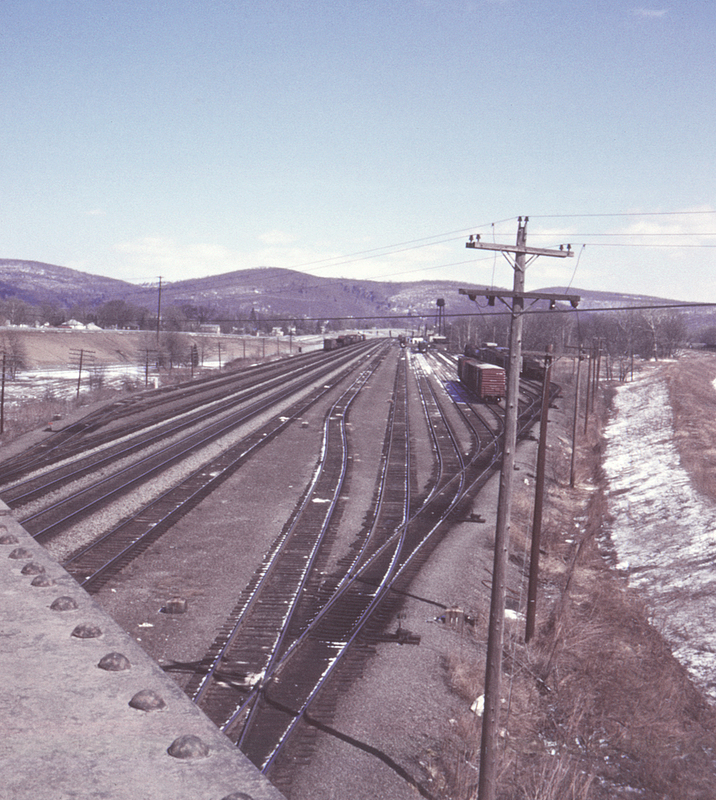 The Erie's yard for Corning, New York was actually located in Gang Mills, west of Corning along the Tioga River (note the flood control berm at right). Although not a particularly large facility, it was quite busy, especially after the abandonment of much parallel Delaware, Lackawanna & Western trackage following the Erie Lackawanna merger of 1960. Here looking east from the New York State Route 17 highway bridge is pretty much the full extent of the yard, which extended just past the curve in the distance. The mainline continued across the Chemung River to pass through downtown Corning.